This sketch is for a spread showing more of Louise's adventures. Here she is in her scuba gear again, meeting critters in the Gulf of Mexico. 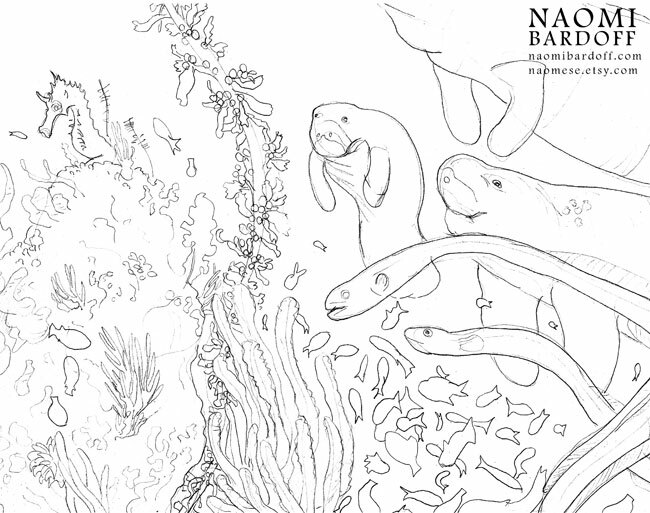 There's a saddleback turtle, a sea spider, some eels, a seahorse, some random fishies, and of course, some happy manatees. Details below. The original is ink and pencil on watercolor paper and is 30"x11".